Sunsweet® Ingredients are produced by Sunsweet Growers Inc., a grower-owned cooperative founded in the valleys of Northern California in 1917. 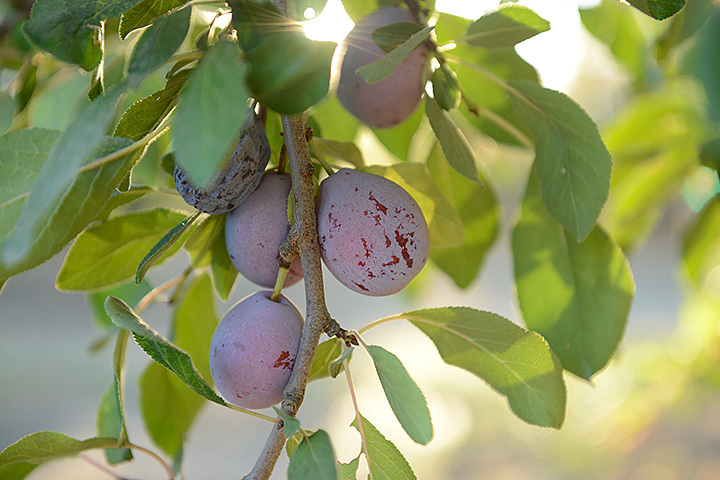 Derived from the French d’Agen prune plum variety, all of Sunsweet’s plums are farmed, harvested, and processed using the proprietary technology and experience of Sunsweet Growers. Sunsweet plums are distinguished from common table plums by their high levels of natural sorbitol, antioxidants, and acidity. When our fresh plums are dried, they yield a rich and complex, tangy caramel flavor. The fruit we grow is also made into versatile ingredients that improve a variety of recipes and food products. Headquartered in Yuba City, California, Sunsweet has evolved into a global company with wide international distribution of our branded retail products and dispersed production operations in California, Chile, and Argentina. Even after 100 years in business, the core of Sunsweet’s mission has always been the same: to provide consumers great eating experiences and good health. The practices of our growers ensure the best flavor, nutrient levels, and consistency in the industry.